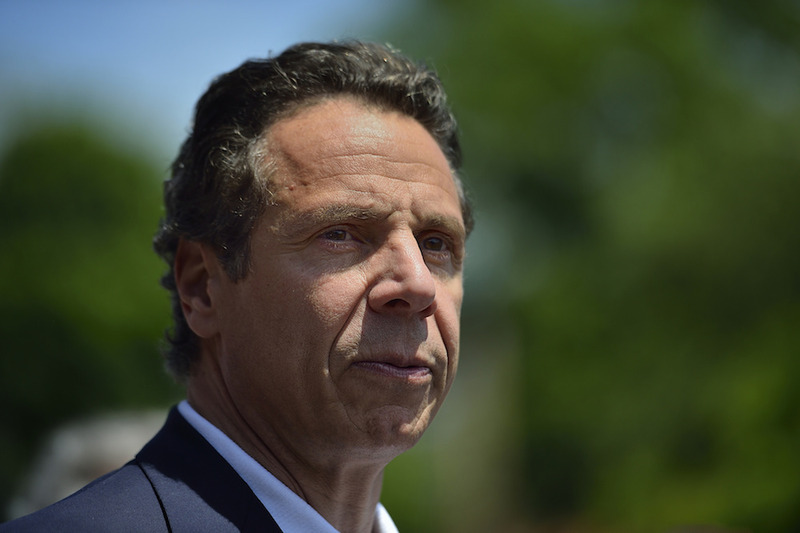 NEW YORK, January 28, 2019 (LifeSiteNews) – Governor Andrew Cuomo dug in his heels today, defending signing a law legalizing abortion up until birth while lashing out at Catholic bishops, some of whom increasingly speak of his future excommunication. “I’m here to represent all the people and the constitutional rights and limitations for all the people, not as a Catholic,” asserted the governor. Last week the governor signed into law a bill enshrining a woman’s absolute right to abortion, and then called for a city and state-wide celebration, going so far as to order the spire topping the One World Trade Center and other landmarks to be lit in pink. “Any thinking human being that would want a baby, allow a baby, to be aborted right up to the moment of birth...anybody who thinks that a baby who survives a gruesome abortion procedure and that a doctor is no longer required to attempt to save that baby’s life – you don’t have to be a Catholic to abhor those types of things,” continued Dolan. “Do you pop champagne corks for that, drink chablis, and eat brie? Do you light up the Empire State Building?” asked Dolan. Dolan said he receives “wheelbarrows of letters” every day asking for Cuomo to be excommunicated. “We have a governor that brags” about his differences with the Catholic Church’s teaching, said Dolan. While Cardinal Dolan has said repeatedly that he does not think excommunication is a proper response to Cuomo’s actions, a growing group of his fellow bishops have warmed up to the idea. Dolan has also been cagey about whether the prominent Catholic politician should be denied Holy Communion. “Excommunication is a last resort, and as the Governor continues to distance himself from our [Catholic] communion, it may, unfortunately, result in that,” said Albany’s Bishop Edward Scharfenberger in a January 26 interview on Fox & Friends. “My hope is that since his faith is important to him, he will reconsider the importance of maintaining that communion and not continue to distance himself,” said Scharfenberger. Knoxville, Tennessee Bishop Richard Stika and Tyler, Texas Bishop Joseph Strickland have both publicly said that if Cuomo lived within their jurisdictions they would take action and possibly excommunicate the politician. This man is a public sinner. Any priest who gives Cuomo Holy Communion would commit a grave sin.